Facial mesotherapy is the application of active ingredients (polyrevitalizing complex with hyaluronic acid, vitamins, antioxidants, coenzymes, nucleic acids, and amino acids). 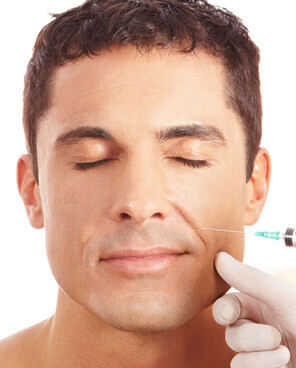 Facial mesotherapy is performed with a series of microinjections in the dermis using very fine needles. Facial mesotherapy nourishes, revitalizes, reaffirms, and rebuilds the skin and provides deep and long-lasting moisturizing from the inside, giving the skin a rejuvenated look with greater shine and firmness and a more uniform tone. Facial mesotherapy acts biologically and comprehensively against the causes and effects of skin aging. It has an overall revitalizing and rejuvenating effect (tone, elasticity, and shine) on the skin of the face, neck and neckline. Facial mesotherapy is recommended for all skin types. Ideal for preventing and delaying skin aging. Gives an immediate “flash” effect and a long-term effect. Moisturizing, regenerating and toning the skin from the inside. Evening out pigmentations (sun and age spots) and fine lines on the face, neck and neckline. Stimulating the formation of collagen and elastin fibers and vital cellular functions. Counteracting the effect of free radicals caused by sun exposure. In a facial mesotherapy treatment, there are 4 to 5 sessions with 15 days between each session; after that, maintenance sessions are conducted done every 6-12 months, according to individual needs.